LITTLE ROCK, Ark. — Police in Little Rock, Arkansas say they've discovered human remains at a park where a missing teenage woman's car was found in 2015, reports CBS affiliate THV. Investigators looking into the disappearance of 18-year-old Ebby Steppach previously spent three days in 2016 searching Chalamont Park in west Little Rock for the woman's body, but returned Tuesday to dig up a drainage pipe in the park. Police said the remains were skeletal and that the pipe opens near where Steppach's car was found. Steppach was reported missing by her mother, who said she had last seen Steppach two days earlier on Oct. 24, 2015, according to the Arkansas Democrat-Gazette. The newspaper reports that Steppach's brother told police he spoke to her on the phone on Oct. 25, 2015, but said Steppach wouldn't tell him where she was. 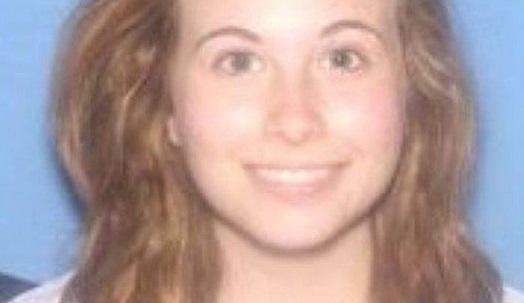 The remains found Tuesday have not been confirmed to be Steppach's. Police hope an autopsy will help them determine if the remains were Steppach.